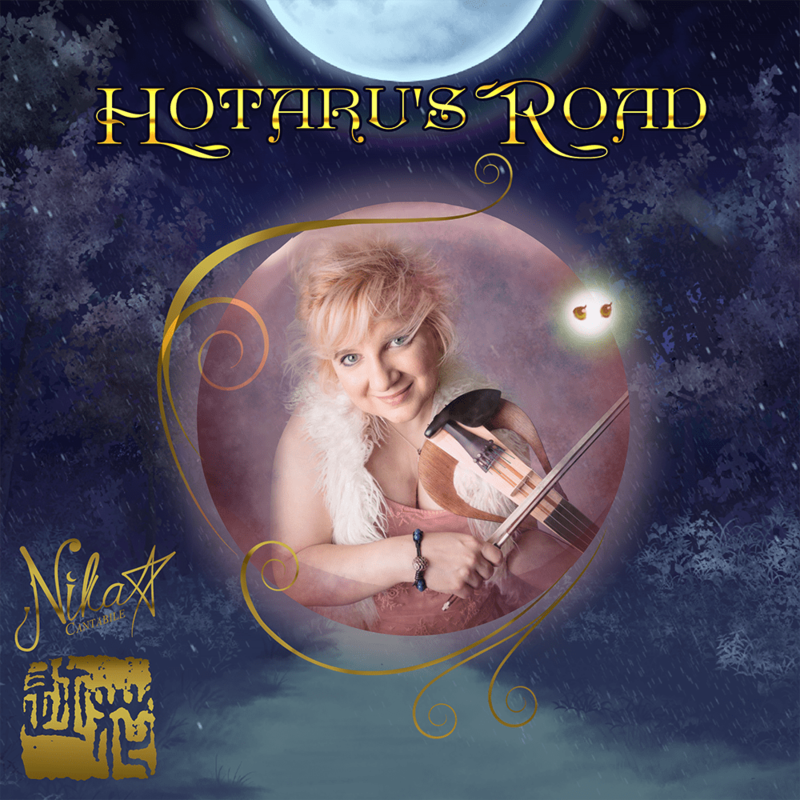 "HOTARU'S ROAD", for just $14.99! Discover the first opus of the album series, with its twelve pieces, its illustrated scenes and characters in a fairytale sang by Nika's five strings violin through her love duets sometimes duels with the guitar. The World of Dreams is a place shaped by one’s imagination where one can escape reality, and none is crueler than that of Krandÿar, a dark mage who amuses himself by controlling the erring souls of dreamers. After the loss of his father, Aïden is trapped within his dream’s illusions while Seï breaks free and travels the dreamscape. Facing their inner darkness, truths and lies, they’ll learn about fate, freedom and love, as they fight for or against it while dark forces gathers in their worlds. To hear more excerpts from "HOTARU'S ROAD"
Nk TreasureBox and via email, immediately after placing your order. Nika's music is a mix of instrumental pieces resting on a base of Fantasy Art-rock with Japanese, Roma, Celtic and a touch of classical influences.